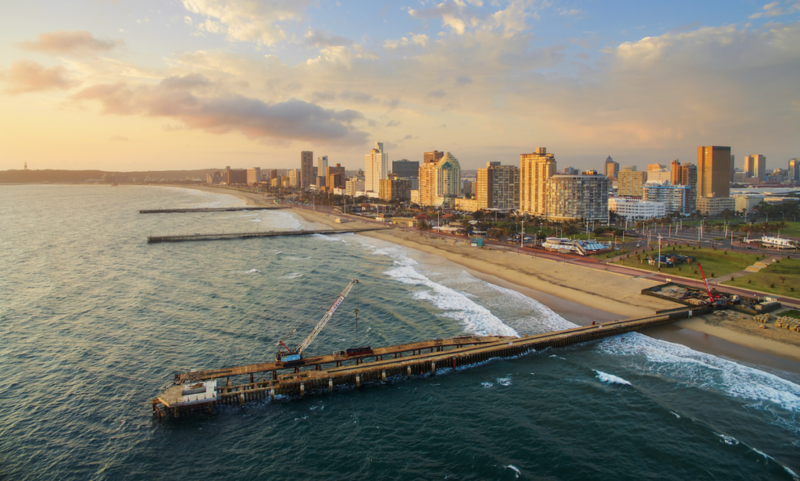 Durban is often in the shadow of picturesque Cape Town or über-cool Johannesburg, but South Africa’s third largest city has a lot going for it as a tourist destination. On 29 October 2018, British Airways will launch direct flights from London to Durban and have put the city on their ‘must-visit’ list for 2019 – confirming something us travel experts have known for ages. 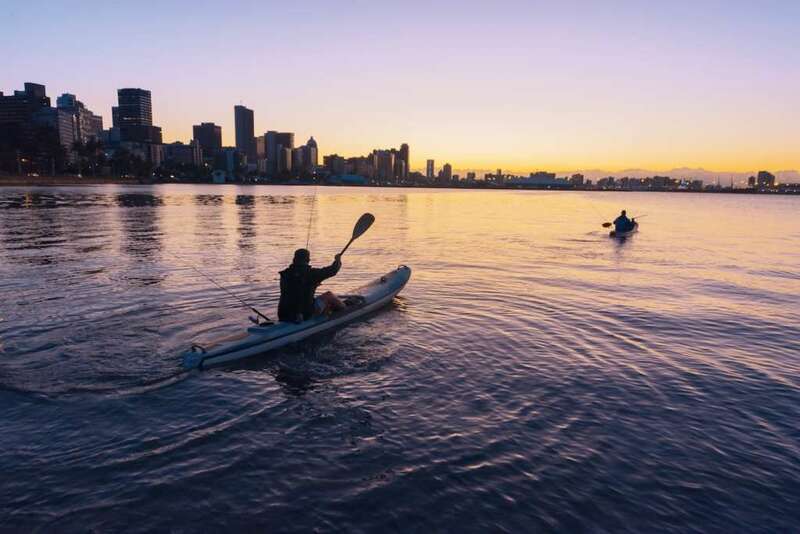 From sunshine and surf to bunny chows and poignant historic sites, these are a few reasons why we think you should travel to Durban. Beachside living in Durban. Credit: South African Tourism. 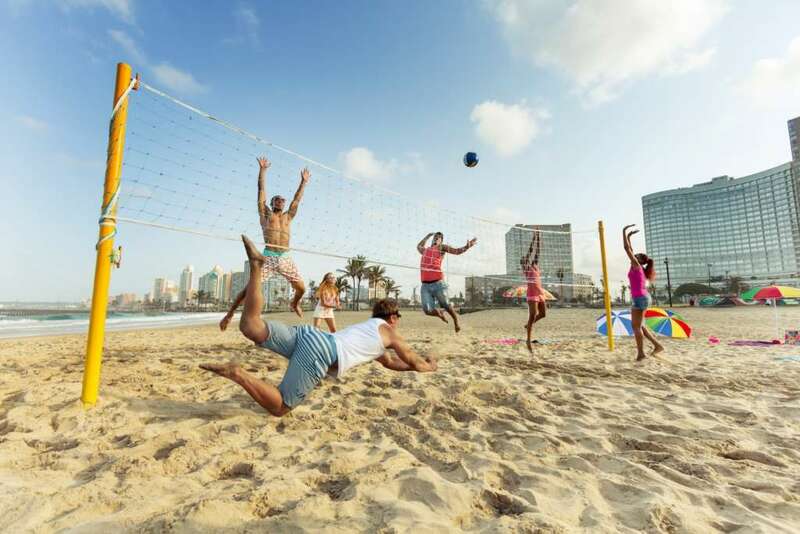 There’s a reason so many South Africans flock to Durban throughout the winter: the year-round sunny, warm weather makes it a perfect place to escape the chill elsewhere in the country. Durban has a tropical climate, so winter (June to September) is dry and sunny and summer (December to March) is hot and humid with massive thunderstorms to break the atmosphere. Whenever you visit, there are plenty of opportunities to enjoy the city’s many beaches and it’s warm, Indian Ocean water. 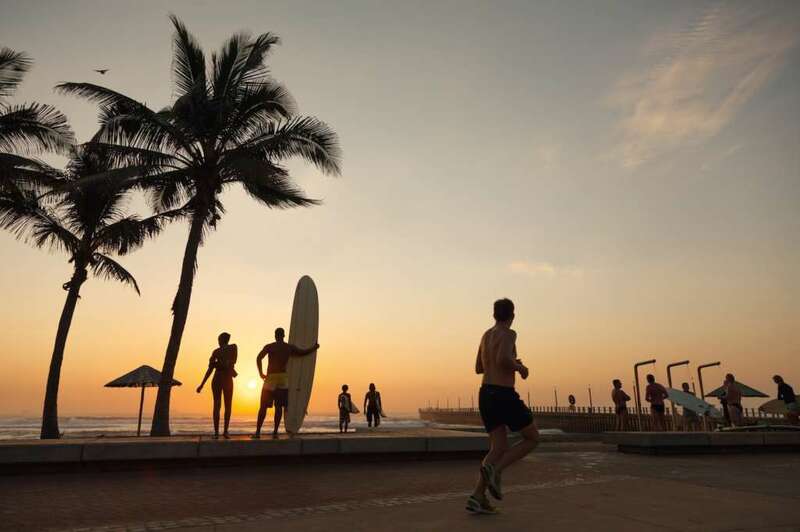 All those beaches don’t go to waste with Durban’s year-round sunshine. Credit: South African Tourism. Durban is a surfing city and you’ll always find people out on the ocean, waiting to catch the next wave. You can surf anywhere along the famous Golden Mile and there are plenty of other spots along the coastline to try out too. Visit in the summer, particularly February, for the best waves. 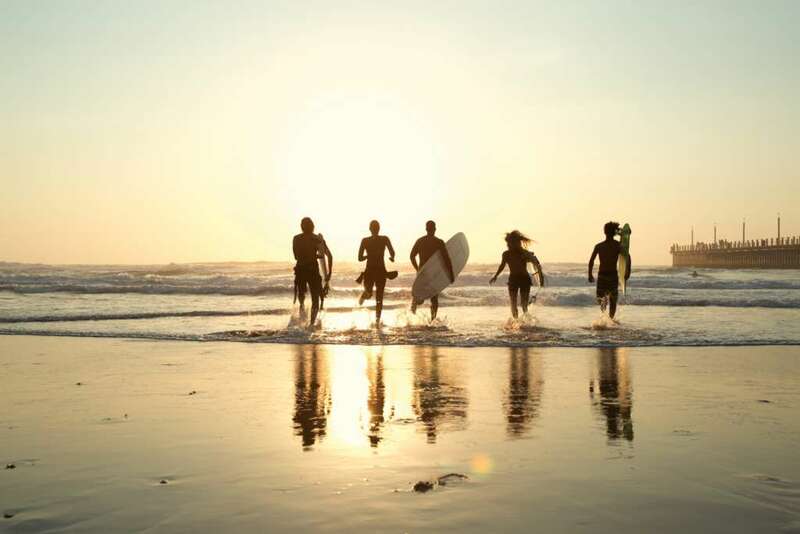 Surfing is a major part of Durban life. Credit: South African Tourism. Durban is in the province of KwaZulu-Natal, one of the most diverse and scenic regions of South Africa. Aside from there being plenty of things to do in Durban, it’s also just a few hours’ drive from Big Five safari reserves; epic hiking in the Drakensberg Mountains; the historic Battlefields where Zulus fought the British; the famous wetlands of St Lucia where you can see hippos on the beach; tropical beaches on which turtles lay their eggs at night; and much more. 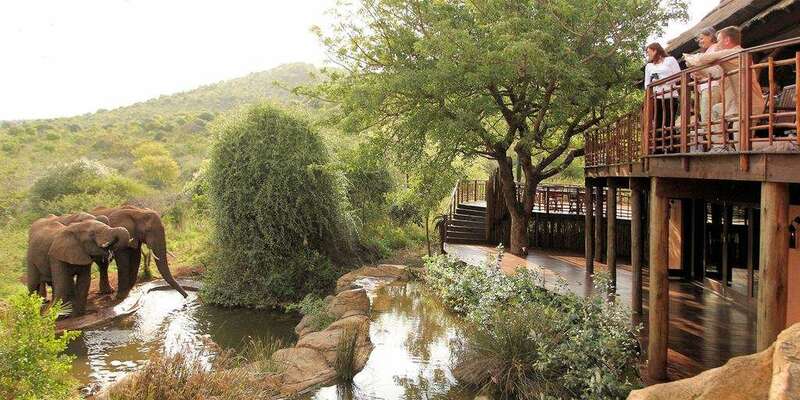 Thanda Safari in Zululand, about three hours from Durban. The bunny chow is known as one of South Africa’s most famous street food dishes and it originated in Durban. The city has the world’s biggest Indian population outside India and it’s thought the bunny chow was originally created as a packed lunch by the Indian workers the British brought across to tend their sugar plantations. So, what is a bunny? It’s a hollowed-out loaf of bread filled with curry, traditionally vegetarian or mutton, but available in lamb or chicken varieties too. It’s eaten by tearing off the sides and dipping the bread into the curry. It’s a delicious, messy meal you must try when in Durban – ask for a mild curry if you’re at all sensitive to heat! 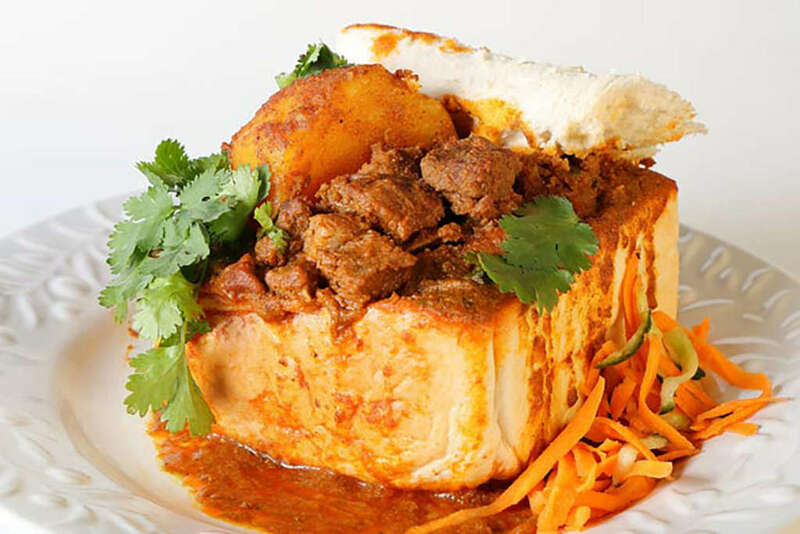 The bunny chow is one of South Africa’s most famous dishes. 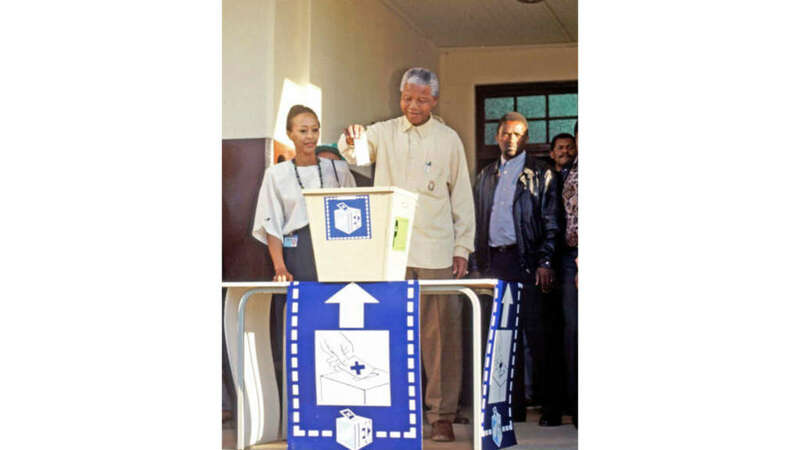 Nelson Mandela casting the ballot in his country’s first all-race elections at Ohlange High School near Durban. Credit: UN Photo/Chris Sattlberger. Another of the world’s most inspiring leaders, Mahatma Gandhi spent many of his younger years in South Africa, having travelled from India in 1893 to work as a lawyer for an Indian trader. Though he didn’t mean to stay for long, he ended up living in South Africa for 21 years. Gandhi claimed his time in the country shaped his future philosophy and his peaceful residence strategy. 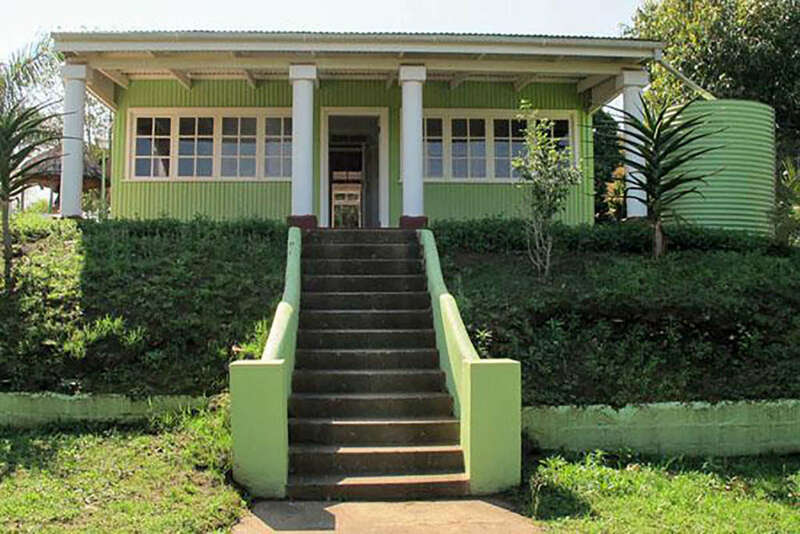 Visit his former home in Phoenix, Durban, to learn more about the great man’s life in South Africa. Durban is home to one of South Africa’s most iconic and luxurious beach hotels, The Oyster Box. 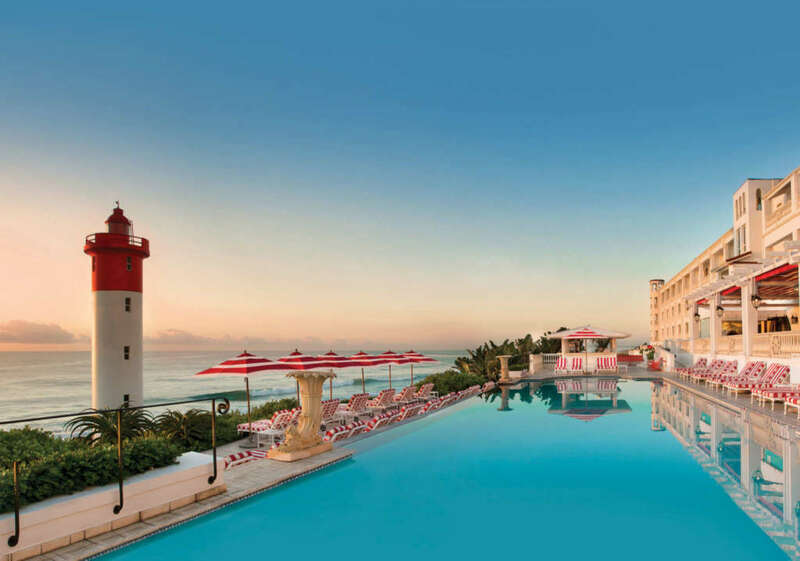 In the upmarket Umhlanga neighbourhood, The Oyster Box overlooks the Indian Ocean and the beach’s famous red-and-white lighthouse, which makes quite a view from the pool. Embracing the architecture of British colonial times, the hotel is a grand, elegant building of white marble and plush carpets. It’s also famous for its enormous spa and its food and drink offerings. Make sure you have a sundowner at the Lighthouse Bar and have a curry at the Ocean Terrace Restaurant, both of which are amongst the top things to do in Durban. KwaZulu-Natal is majority Zulu and home to the Zulu monarchy; the king doesn’t hold any political power, but he is influential in the province. Zulus are famously proud of their culture, so it isn’t hard to find places to learn about the people and their customs. In Durban, you can learn about traditional Zulu beliefs with a guided walk around the herb market; it’s not for the faint of heart though, as you’ll find carcasses of various animals hanging from stalls, all used for traditional medicine and treatments. 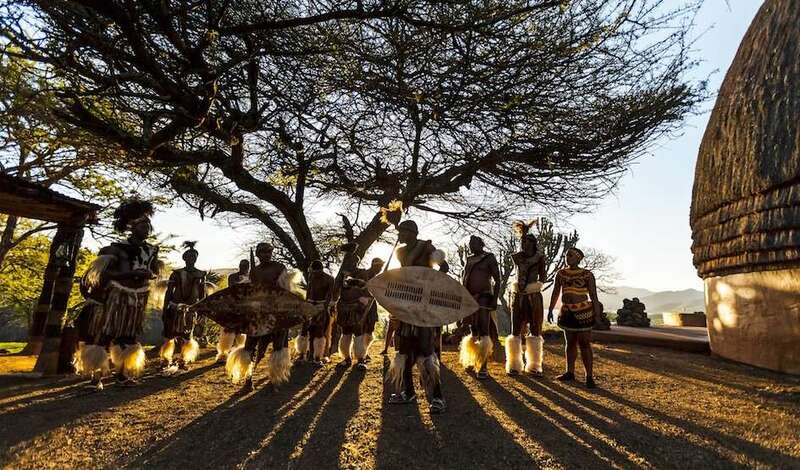 You can also spend the day at nearby Shakaland to experience and learn about Zulu dancing, food, bead and basket weaving, and even beer brewing. Zulu dancers in KZN. Credit: South African Tourism. Durban is still a bit of a secret when it comes to international visitors. The advantage of this is that the city costs are lower and there are less tourists to contend with, especially when compared to Cape Town in peak season. It’s also easier to hang around with locals and get a feel of the real city, without falling into major tourist traps. Durban is still one of South Africa’s lesser visited destinations. Credit: South African Tourism. 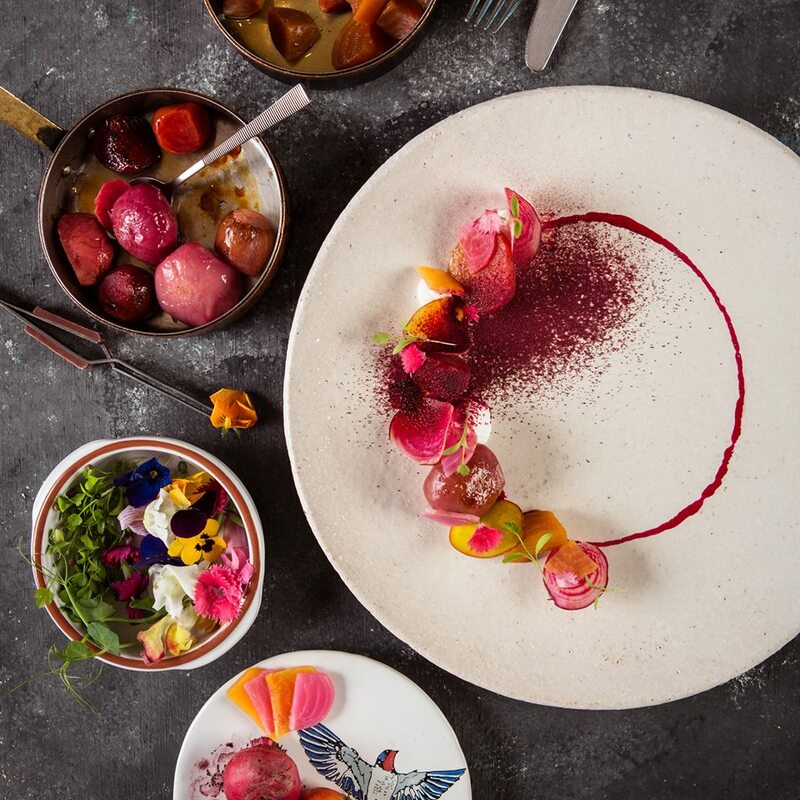 It’s not just street food that Durban does well – its food scene is growing and growing, offering everything from fine dining to lazy brunching. The Chefs’ Table is the restaurant of award-winning Chef Kayla-Ann Osborn, serving seasonal, local produce in a fine-dining menu. It’s no surprise that seafood is a city speciality – head to Ile Maurice for a delicious selection. Bellevue Café is one of the best places for breakfast and brunch, while nothing beats a beachside lunch of Afro’s Chicken, a Durban institution housed in a bright yellow container on South Beach. And of course, there’s a local gin: head to Distillery 031 for a D’Urban Gin tasting and distillery tour. Fine dining in Durban. Credit: Chefs’ Table. With BA’s new flight from London to Durban, there’s no need to connect in Johannesburg if you’re coming from the UK. Other direct flights to Durban King Shaka International start in Doha (Qatar), Dubai (Emirates) and Istanbul (Turkish). Ethiopian Airlines also fly direct to Durban from Addis Ababa, a major African flight hub. Of course, if you do end up flying into Johannesburg or Cape Town, Durban is just a short domestic flight away. Durban is linked to several international hubs. Credit: South African Tourism.